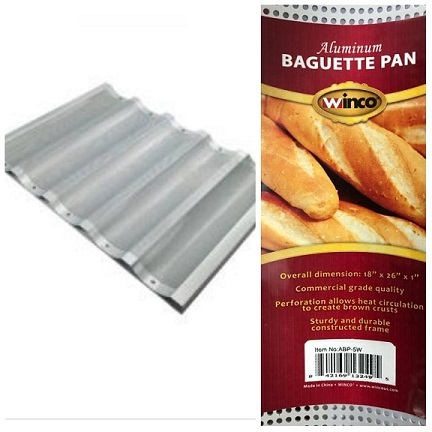 BAGUETTE PAN, 5 SLOT, ALUMINUM. COMMERCIAL LOAF PAN, NON-STICK COATING, 18" X 26". Notify me of updates to BAGUETTE PAN, 5 SLOT, ALUMINUM.